The Potts Award was initially awarded to Linda Potts in recognition of her long term involvement in a variety of positions serving our Avon Lake PTA Units. Her dedication and achievements denote her true interest in the welfare of our students and our community. She is known as a true PTA Advocate. We continue to recognize outstanding PTA members in each individual unit for their dedication and achievements, similar to those modeled before by Linda Potts. 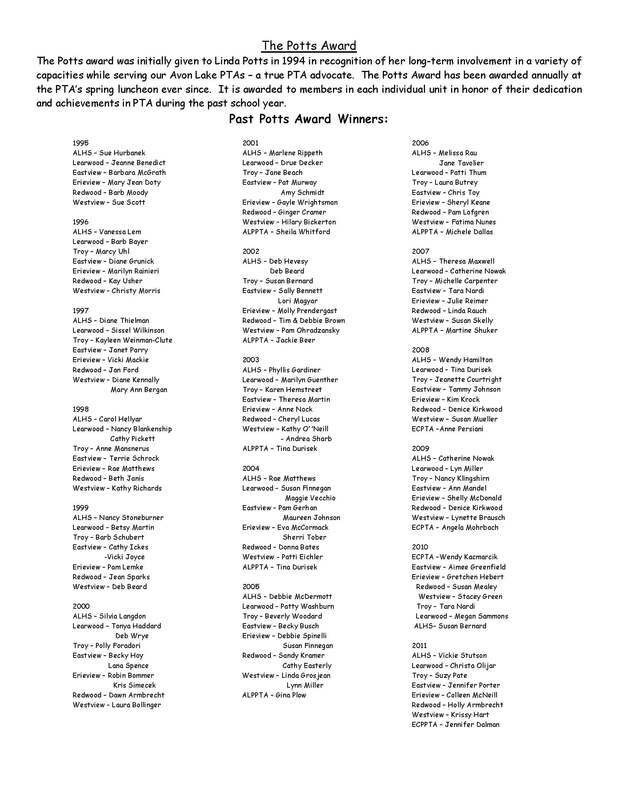 Recipients will then be invited to the annual PTA Council May Luncheon and presented their award.